We have through haunted stories from Urban Highways, old temples, old castles, highways and so on. Now it’s turn to get familiar with the haunted story of one of the most famous water lowlands of the country named Chalan Beel. It is most known for the largest lower water land and still it’s natural beauty of out of description. It is one of the best paces in Bangladesh to spend some charming days and a amazing vacation from the monotonous days of urban life. 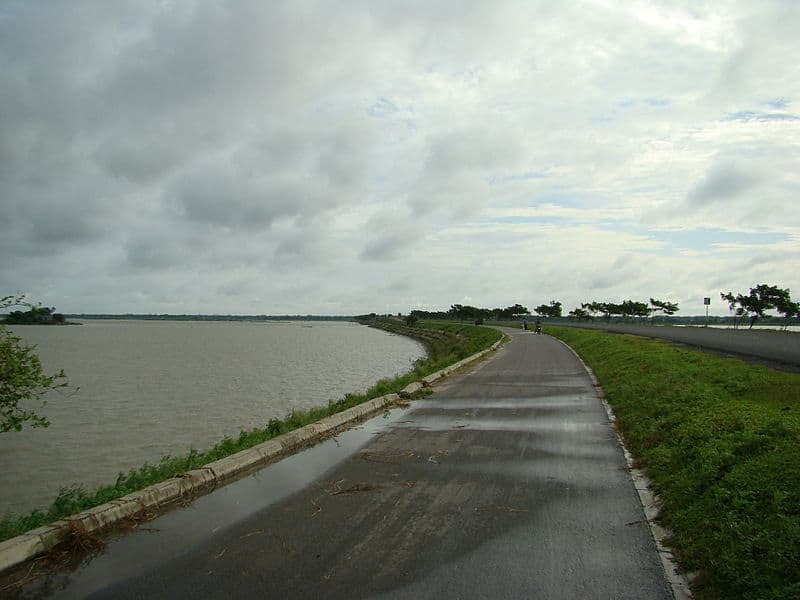 Chalan Beel is mainly located at Natore, Pabna and Sirajgonj. Firstly, we will get introduced with the geographical location and natural calamities over there and afterwards, we will move to the haunted story that had been rumored centering Chalan Beel. Chalan Beel is a lowland area and extensive as well sourced from the lower Atrai Basin which had spread across Gurudaspur upazilla and Singra of Sirajgonj. Though it sounds like one single beel(lowlands of water), but it actually consist of several beels and which are connected to one another by various channels and that creates a continuous water flow across the channels. Though, the beel area expands to a major vast water body when the River Jamuna remains flooded and dense aquatic vegetation remains in the beel area. Also, the beel dries out at the winter and leaves only patches of water in the central part and places of the beel area. About the dimension, Chalan Beel’s dimension is rapidly growing less with the devastating effects of deforestation and industrialization. At past years, this beel was covering an area of 1085 square kilometers and now, eventually, it had reduced in an area of 368 square kilometers. It has shrunk only 26 square kilometers yet. As one of the main waterfalls of Bangladesh, Chalan Beel has a good communication system with across the whole country from highways or rivers. The easiest way to identify the location of Chalan Beel is to go across the Bangabandhu Setu and the adjacent district Sirajgonj connects with the Chalan Beel. Sirajgonj has attached with the most well known water land in Bangladesh. From Sirajgonj, its simple to reach Chalan Beel via Van or boat. Chalan Beel is the largest wetland that spreads at the four districts of North-western Bangladesh called Pabna, Sirajgonj, Natore and Rajshahi. The main name of the source river is Atrai. Amongst the beel area and the nearby villages, we can find some people who are legends of jinn over the locality. Though most of those legends are from old ages and days. Especially in the villages that are closely located near Sirajgonj district, we can find some stories that are influenced and possessed by jinn. This takes place suddenly on the possessing man whenever they pass through the beel and the usual time of the occurring is night time. In Chalan Beel, where the famous three temples are located, there is a myth regarding the haunted beel. In today, a haunting legend is supposed to be here. Among the three temples at the side of the beel, one of the temples was broken. The reason behind that lies in a myth story. A landlord from the old ages was living there with plenty of wealth and lands. A graveyard is located at the opposite side of the three temples. The mentioned graveyard is named after the landlord and the landlord lies in peace in there at the graveyard. According to the local myth, at the night when the landlord died, these three temples were raised b some evil spirit and supernatural power. Among them, one of the temple broke because of some natural cause. Also, it is also believed that, the cast of the landlord is still here at that’s haunted by jinns. Many paranormal activities use to take place over there and people are often listening frightening cries from the temple premises. Another version of this story line is also formed among the local people regarding the chalan beel myth. The name of the village where the haunted zone lies is called Tadash. Three temples are there. One is broken by head another two are alright. In the opposite of the road, there is a graveyard and there is a grave of a priest in the graveyard. They graveyard is also named after him. Nobody knows the real identity of the graveyard but they all are aware about how powerful he is, after death! The man had three wives a vast amount of money and lands. When the man died, at the night of his death, the three temples rose supernaturally and then the dawn began. While three of the temples were growing, simultaneously, after the dawn, the last one broke against the power of sacred light. Afterwards, they are still like the same and there so many weird thing s that take place on the place. The last temple, which is broken to half of it, was supposed to be the source f all evil spirits around the haunted place. It’s also said that lots of Jinn and snakes cursed by evil souls still exist there and come out at the twilights and eclipse. For adventure lovers and haunted story hunter, Chalon Baal is an ideal place to go for a trip and find out all of the mysterious stories by themselves. So keep yourself updated with the seasons and environments so that you don’t catch up at any kind of natural calamities. So don’t miss the chance of such an adventurous trip with horrible experience.